Nimesh Patel was recently a writer on Saturday Night Live and appeared on The Joe Rogan Experience. 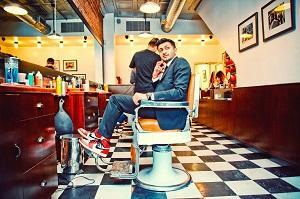 He has opened on the road for comics such as Chris Rock, Maz Jobrani, and Michael Che.Nimesh was also named one of Comedy Central’s “Comics To Watch” in 2013. He is a regular on MTV2’s Vidiots and can be seen performing stand up around New York City at the Comedy Cellar, Caroline’s, Stand Up NY, UCB, and more. Our excellent chef’s in the Jester’s Buffet cook up fresh, mouth-watering dishes every season.